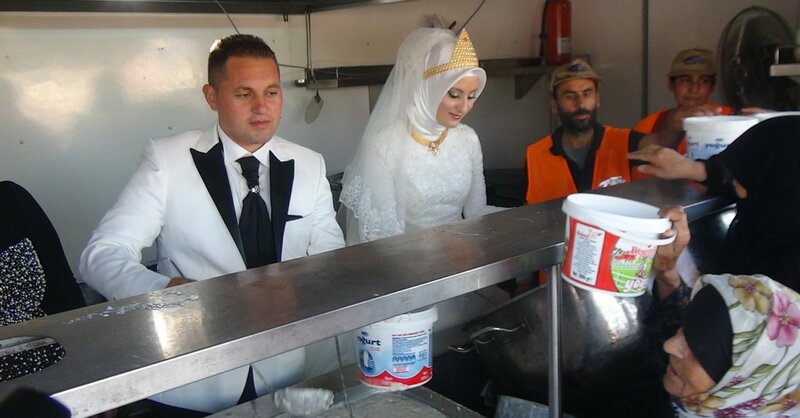 A selfless bride and groom decided to celebrate their wedding dinner by feeding 4,000 hungry Syrian refugees. In the Kilis Province on the outskirts of Syria, thousands of struggling refugees displaced from the Syrian civil war lined up for a wedding dinner delivered by the couple. 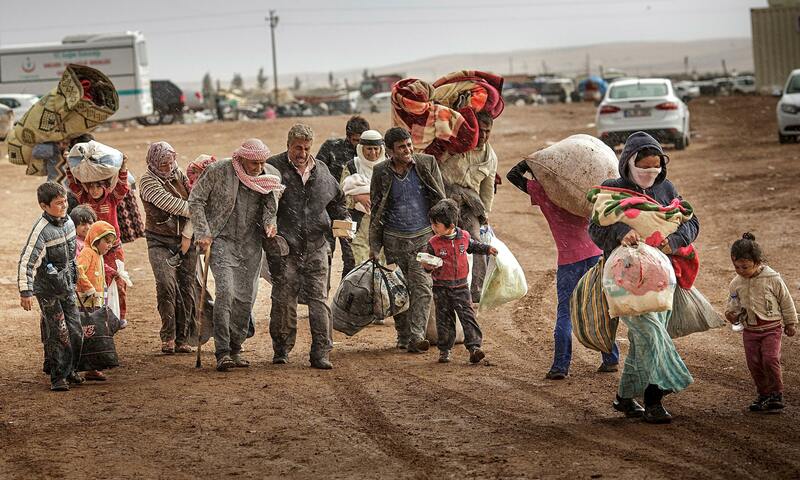 According to the United Nations Population Fund, as of March 2015, more than half of all Syrians have been forced from their homes, leaving 7.6 million displaced within Syria and 3.9 million living as refugees in neighbouring countries. Unable to sit on the sidelines while refugees struggle to obtain basic needs, Turkish couple Fethullah Üzümcüoğlu, 24, and Esra Polat, 20, donated part of their wedding savings in order to share their wedding festivities with nearby refugees. The idea came from the groom’s father, Ali Üzümcüoğlu. To help refugees get basic necessities, the couple donated their savings to the Turkish charity Kimse Yok Mu (KYM), which provides hot meals for refugees and typically feeds about 4,000 refugees per day around the Kilis Province. Operating in 113 countries, this organization with over 220,000 volunteers has helped to provide relief for displaced people all across the globe. In Turkey alone, the organization has helped over 200,000 families inside Turkey. Thanks to the couple’s donation and the help of KYM, 4,000 refugees were fed on the couple’s wedding day, and the charity remains as committed as ever to provide food to those in need. “Seeing the happiness in the eyes of the Syrian refugee children is just priceless. We started our journey to happiness with making others happy and that’s a great feeling,” groom Üzümcüoğlu told i100.co.uk.